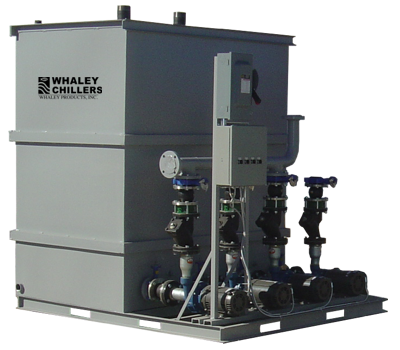 304 & 316 Stainless Pump Tanks | Whaley Products, Inc.
S-Series are typically used with Whaley's chiller or cooling tower systems. Stainless tank walls can be fabricated with 304, 316, 316L, or other forms of materials. A down-grade to carbon steel walls is available for applications where stainless steel is not a necessity. In these cases, water quality or other proposed tank fluid quality is addressed during the engineering phase of an S-Series pump tank system project to confirm what wall material composition is required for adequate protection against corrosion.